Which Food Pyramid does your body want? Let your genes tell you! 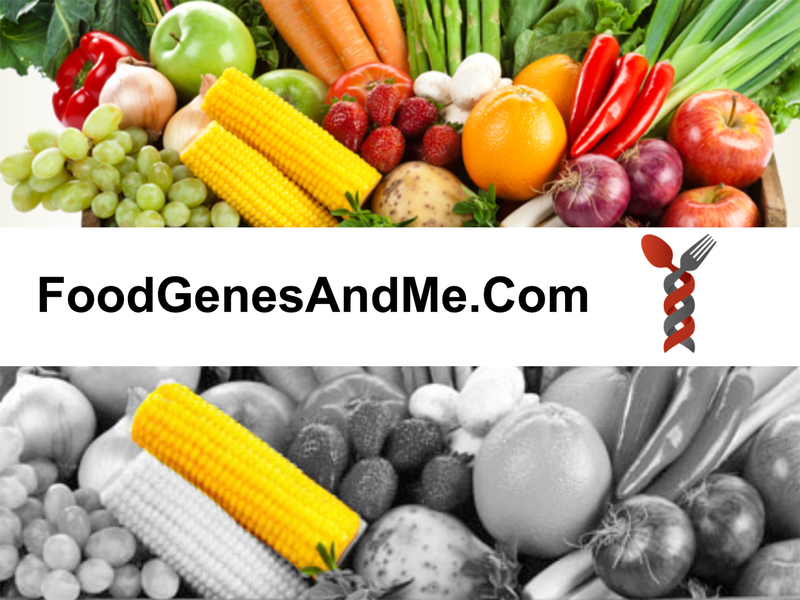 Food Genes and Me (FGM) wants to help you understand the scientific concepts that justify the benefits of a personalized diet from FGM. All people can benefit! To address this, scientists study large populations and determine what percentage of people has a specific condition. From these measurements, they can estimate the risk of seeing a particular condition, i.e. a genetic risk score. This is somewhat like your chances of rolling double sixes with a pair of dice – there are 36 possible combinations and double sixes is just one possible roll. Therefore, you have a 1 in 36 chance of rolling double sixes. Likewise, most human conditions have risks between 1 in 100 and 1 in 250,000. You may be thinking that 1 in 100 risk is a low risk, and “its not going to be me!” Well, but returning to dice as an example, let’s suppose you played some game and rolled the dice 108 times. Then on average, each set of 108 rolls would produce 3 rolls of double sixes! The same thing goes on with disease risk. Because there are so many different types of disease, each with their own risk, you have a higher chance of contracting a disease. This is why personalized dietary information could so powerful for living a healthy life. Since most people eat frequently, its no surprise that the food you consume directly effects your health. But, you may not have known that interaction of your genes with your diet can radically change your risk for specific diseases and conditions. This field of research has become known as nutrigenetics or nutrigenomics. In your FGM nutrigenetics report, we analyze your genetic file for several hundred DNA sequence variations. On average each person has a different set of 10-20 of the sequence variations from hundreds that are possible. Each of these variations are indicators of an increased risk for a condition and a food or supplement intervention that reduces the risk. FGM was very careful to select only the DNA variants that have a strong basis based upon rigorous statistical tests in a scientific study. We next use this information to give you a list of five foods and portion that should be eaten daily and could reduce the inherited risk. Every time you come to the FGM site we provide you additional foods, so keep visiting your FGM account. To keep building our accuracy in genetic risk scoring, FGM asks that you donate your genetic information and complete a 5-10 min survey to advance FGM research to discover new variants. You will benefit from your donation; by FGM improving your personalized dietary information. With your data we perform a genome wide association study (GWAS) for each survey question you answer. To perform these studies we do need 1,000s of participants and that is why we are asking you to donate. See our privacy agreement on how we take extra steps to secure your data and will only use it for FGM research. Customers can submit candidate survey questions on FGM’s contact us webpage, so that we can further understand your interest, and together can investigate new DNA sequence variations of your interest. 1. FGM focuses only on personalized foods and supplements based on your genetics. 3. FGM only uses scientific studies with a strong scientific foundation and passes rigorous statistical tests. 4. FGM provides you important information because you eat every day and are at risk for certain diseases and conditions; we do not provide information that has little impact on your life. For more information or clarity of some of these descriptions, see our YouTube videos.